Rich with history and culture, Old City homes for sale are composed primarily of historic homes, as well as seaside condos and modern reconstructions. Old City was the original heart and soul of Nanaimo's 1880's coal mining activities, serving as an economic and shipping centre. Today, Old City is home to Nanaimo's quaint downtown core, harbour-side amenities and historic district. Old City is easily one of Nanaimo's most visually interesting communities and offers a cornucopia of unique real estate options. Find out more about Old City's heritage homes, or view the following Old City real estate listings to see what's on the market today! Find out about new Old City real estate listings first, with the help of Karen Ayou! Receive Instant Email Alerts as soon as new homes matching your criteria hit the Old City market. Show Me Old City Homes For Sale First! Join Now! Old City is one of Nanaimo's most interesting neighbourhoods, and traces of the city's mining roots can be found throughout. Though not formally recognized, Old City is split into two fairly distinct regions: the downtown core, and the historic district across the bridge. Downtown, Old City real estate buyers will discover beautiful condos alongside a quaint collection of shops and restaurants. Although the occasional single-family home can be found in the downtown core, these opportunities are rare and sell quickly. Recent efforts to attract visitors to the downtown business district have been extremely successful, and downtown Old City is a favourite location for Nanaimo locals and explorers alike. Across the bridge, additional businesses and hundreds of historic homes can be found along the streets of Old City, many of which boast a heritage home designation. Revitalization grants from the city encourage heritage renovations of both businesses and homes in Old City, helping permanently preserve the unique architectural diversity of the area. In many cases, Old City businesses double as the owners' private homes, serving as a creative mortgage-helper solution. 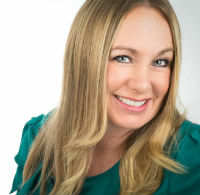 Let Karen Ayou connect you to the best Old City real estate! Call 1-877-304-7363 or message Karen online to start.